A bad witch's blog: Pagan Eye: Pumpkins Mean Halloween is Coming! Pagan Eye: Pumpkins Mean Halloween is Coming! 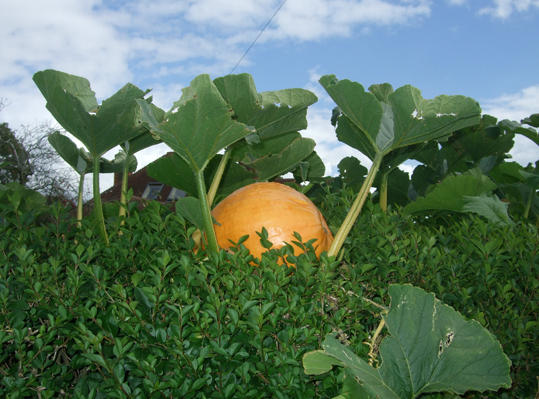 I saw this huge pumpkin growing in a hedge while I was on a walk in Sussex at the weekend. I couldn't see over the hedge, but I'm guessing the garden the other side must have been full of pumpkins - and this one was just making a bid for freedom. It isn't too early to think of Halloween, is it?